Renal Cell Carcinoma is diagnosed in >60,000 Americans yearly, with about 13,000 dying annually of this disease. It is most common in males, age 50-70, but can present in any age or gender. With increased and improved imaging, more and more of these masses are being identified incidentally when a patient gets imaging performed for another unrelated reason. These “incidentalomas” are typically found smaller and earlier in their disease, so that cure rates can exceed 80-90% in smaller lesions. 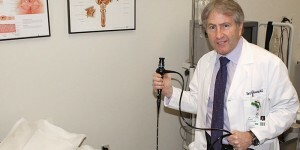 We can evaluate your renal mass and help differentiate from other benign kidney conditions such as renal cysts. Even when a malignant cancer is suspected, up to 20% of masses prove to be benign (noncancerous) growths such as an angiomyolipoma or oncocytoma. However, in many cases the only way to determine this is by microscopic exam after surgical removal. 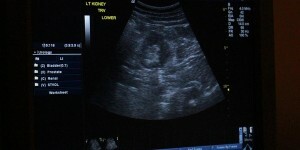 In some cases, biopsies may be performed but are often inaccurate, and in others cases surveillance may be possible, with definitive intervention planned if serial imaging shows growth or change of your kidney mass. These tumors are very resistant to radiation and chemotherapy, and although new immunotherapies are available, their role is typically in adjuvant or metastatic conditions. 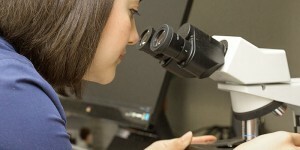 Sometimes, ablative therapies such as cryotherapy (freezing) or radioablation (heating) the tumor can be used to kill it in situ, but results may not be as durable as surgical removal and requires close follow-up imaging for many years, so that this is more typically used in those patients who may not tolerate surgery. 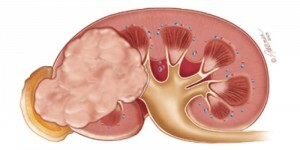 Therefore, if a renal cell carcinoma is suspected, the mainstay of treatment is surgical excision. 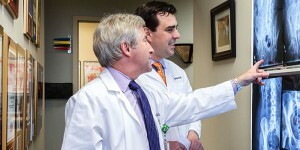 The surgical approach varies depending on your tumor’s location and size. 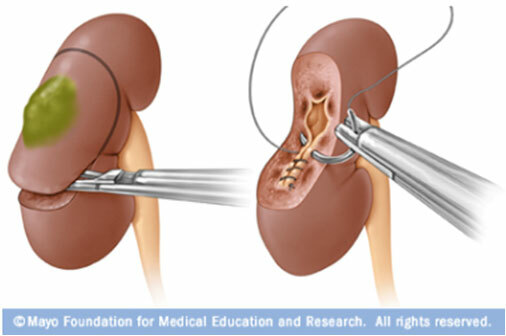 Radical nephrectomy means removal of that entire kidney with the tumor inside. When anatomically possible and safe from a cancer perspective, only a portion of the kidney is removed, and the remainder is surgically repaired. This is called a partial nephrectomy. This maximizes overall kidney function and decreases the risk of cardiovascular disease. This is especially important in patients with medical conditions such as high blood pressure, high cholesterol, diabetes, and smoking. 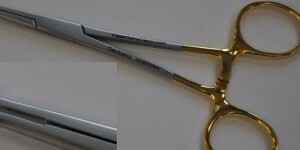 Both radical and partial nephrectomies can be performed through traditional open surgery and modern minimally invasive techniques such as laparoscopy and da Vinci robotic surgery. 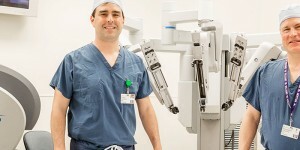 While certain conditions may require an open flank incision, we can perform most kidney surgeries now via robotic surgery, minimizing the need for pain medication, decreased risk of wound infection or hernia, and quicker recovery and return to normal function.